The switch is designed to be mounted internally within the weatherproof cavity in the antennas. 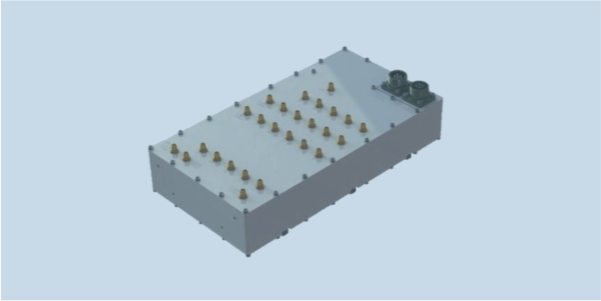 It comprises five parallel channels, each with input power limiting, ESD protection, low noise amplifier and band switch. An omni channel amplifier module amplifies the omni channel, and injects the DC required to power the masthead amplifier inside the DF-A0038.